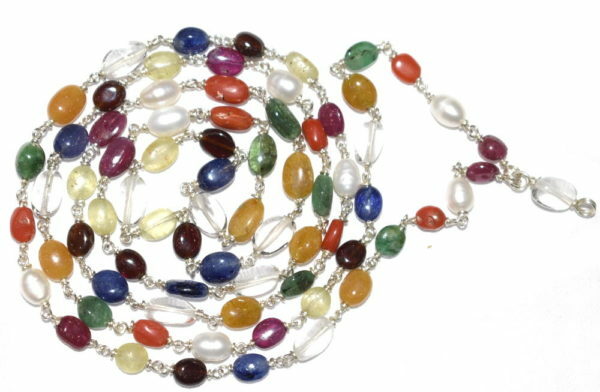 Design : This beautiful Navratna mala is made in Pure Silver wire having knotted style , with best quality oval shape gemstones – Red Coral, Yellow Sapphire, Blue Sapphire, Pearl, Cat’s Eye, Gomed, Crystal (Sphatik) , Emerald and Ruby. 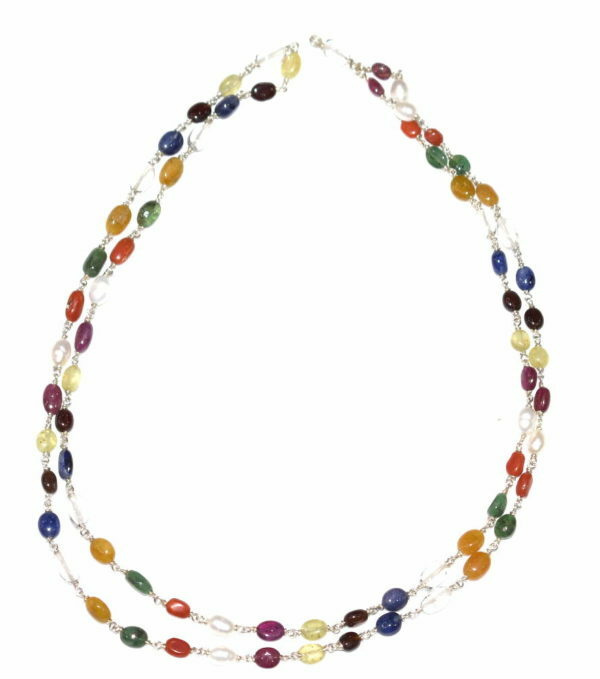 These gemstones are strung using natural beads of different sizes in such a pattern that it gives a naturally elegant look. 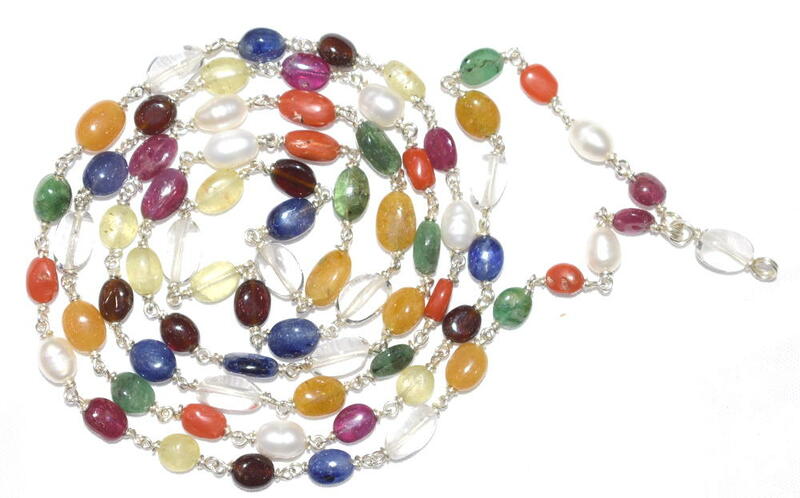 Wearing a Navratna will strengthen the positive influences of planets and intensify the rays of planets they represent. They bring fame, longevity, wealth, happiness and strength. It also wards away negativity, bad celestial influences and eliminates misery. It is made in such a way that anybody of any age group can wear them irrespective of their horoscope. An ideal gift for all occasions.